Kingmax, a Taiwanese company best known for its DRAM and NAND Flash memory, heralded its first major push into the Indian market last week, introducing its partners in the country, as well as some its latest products, including first-in-class 1TB SSD drives and 64GB SDXC cards. The company announced its four major distribution partners - Salora, Kingstar, Redington & Supertron – at the channel partner and media event. Also at hand, was Mr. Lawrence Chang, Kingmax’s Global Sales VP, who introduced the Kingmax group of companies, and spoke about the future of NAND Flash and DRAM memory, as well as SSDs and their impact on cloud computing. Kingmax’s latest achievement – a first-in-class 1TB SSD drive – was shown off at the event, and is due to hit retail availability son. The company, which claims it has a technological advantage with its own semi-conductor assembly and testing subsidiary – Kingmax Semiconductor – was able to develop the 1TB 2.5-inch SATA II SSDs with its patented 8 stacked die process. The new family of SSDs stretches from 32GB all the way to 1TB, and you can check out the performance figures below. So far, pricing details have not yet been revealed. 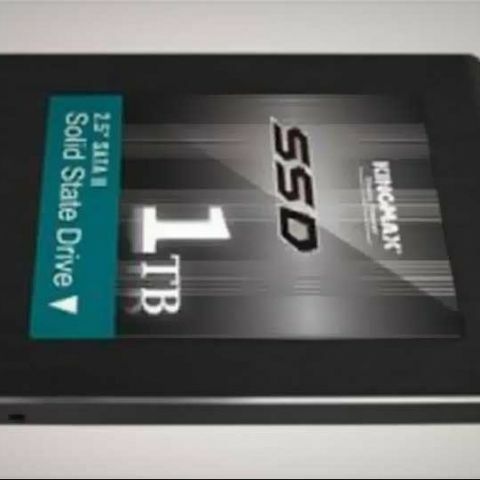 Kingmax also revealed it intends to launch 2TB 2.5-inch SSDs by Q1 2012, preceded by SATA III 1TB SSDs. Kingmax also highlighted its globally well-received Nano Gaming RAM at the event, also due for retail availability soon. It is known as the first 2400MHz DDR3 performance module that doesn’t require an integrated or after market heatsink to operate, and yet returns relatively cooler temperatures, even under the stress of overclocking.